BioPorto expands its metabolic marker portfolio with new antibodies against gastrointestinal hormones for studying the role of gut hormone-driven mechanisms of appetite regulation and insulin secretion in obesity research and diabetis treatment. Human gastric inhibitory polypeptide (hGIP), also known as the glucose-dependent insulinotropic peptide, is a potent incretin in normal humans. Incretins are hormones released into the circulation by the intestinal mucosa in response to nutrient ingestion after food intake and then enhance glucose-stimulated insulin secretion. This so-called incretin effect accounts for 50% – 70% of the total insulin secreted after oral glucose intake. 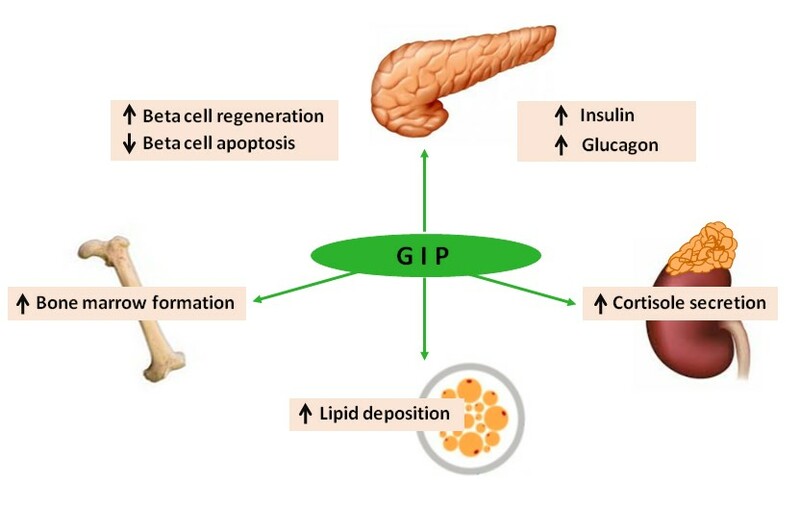 GIP and GLP‐1 (Glucagon-like peptide-1) are the two primary incretin hormones and contribute nearly equally to the incretin effect of a meal in healthy subjects. Although oxyntomodulin is not considered as incretin hormone, it shows some insulinotropic properties. 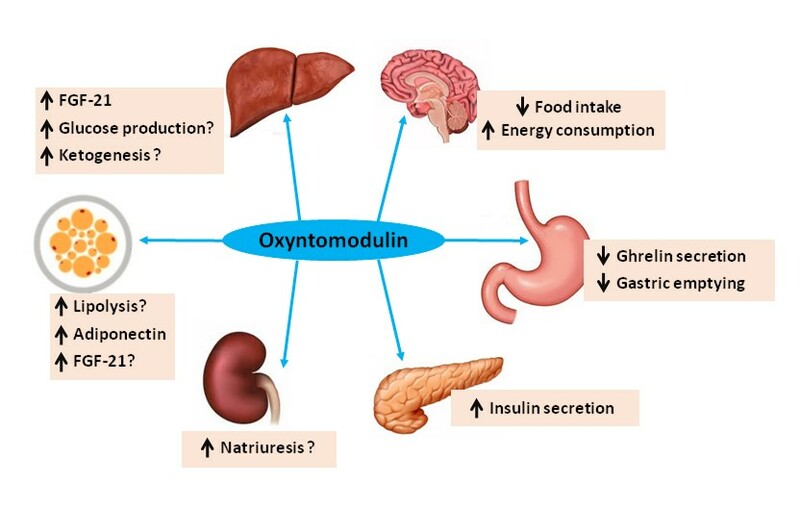 The appetite-reducing effect of oxyntomodulin may in part be due to suppression of circulating levels of the appetite-increasing “hunger hormone” ghrelin. Human gastric inhibitory polypeptide (GIP) is a 42 amino acid sequence secreted by endocrine cells in the duodenal mucosa and stimulates glucose-dependent insulin secretion as well as GLP-1 release from more distal endocrine (L) cells in the intestinal mucosa. GIP shows amino-acid sequence similarities to glucagon, GLP-1 and GLP-2 (from approximately 50% identity for glucagon to 30% identity for GLP-2). The new anti-GIP antibodies added to the portfolio enable now to measure the gut hormone GIP in both the GIP(1-42) and GIP(3-42) version, depending on the combination of antibodies used in a used in a sandwich pair. Oxyntomodulin (OXM) is a peptide hormone of 37 amino-acid residues (29-amino acid sequence of glucagon, with an 8-amino acid carboxy-terminal extension) produced by the L cells of the gut and co-synthesised with GLP-1 from the same precursor. It is produced by post-translational processing of proglucagon that forms as well glicentin, GLP-1 and GLP-2 in the L cells of the intestinal mucosa. Oxyntomodulin modulates gastric acid secretion from the oxyntic cells of the stomach, inhibit appetite, reduces food intake and has glucose lowering effects. In obese individuals it reduced body weight and increased energy expenditure. Looking for more highly specific antibodies for obesity and diabetes research?